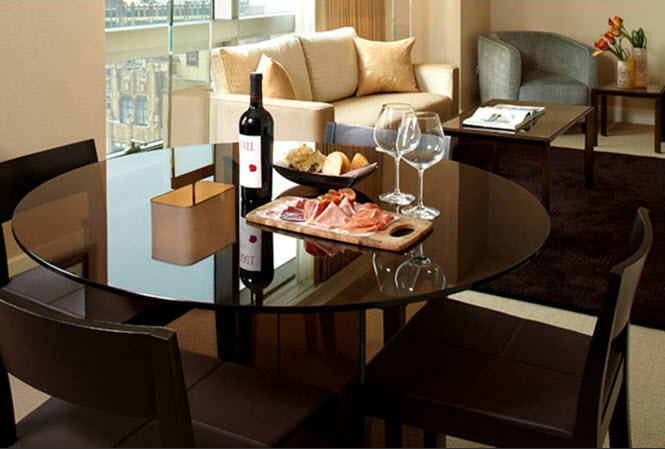 Jet Luxury Resorts guests receive the guaranteed best rate and elite access into exclusive 5 Star inventory at The Dominick Hotel in Lower Manhattan. Check in / Check out with the front desk. All hotel amenities are provided with your reservation. Our Rates are ALWAYS 20% off Market Rates. Adding distinction to the skyline, Jet Luxury Resorts @ The Dominick, New York will bring a new perspective of Manhattan from the SoHo New York neighborhood. The impressive 46-story tower places you in the heart of New York City's most exciting neighborhood and soars above Spring Street to allow for unparalleled views of the City. Guests enter through a dramatic two-story conservatory into a grand lobby reminiscent of luxury New York hotels of the early 20th century. 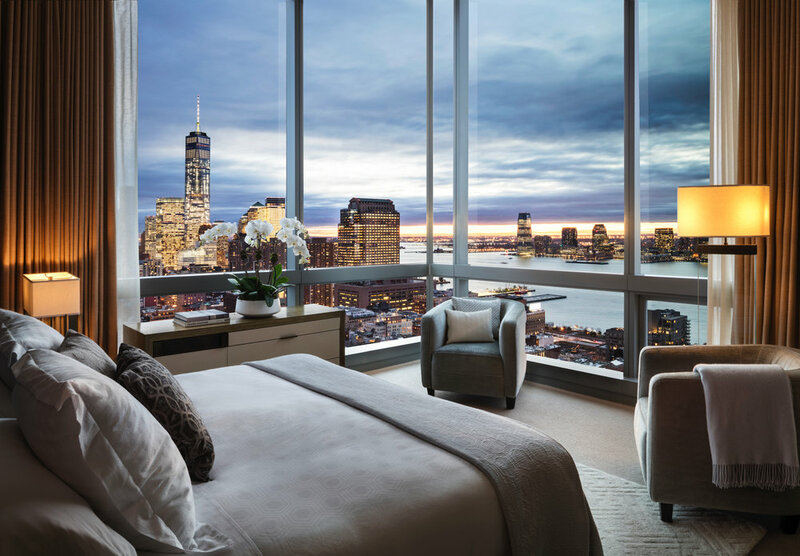 Exclusively at The Dominick, floor-to-ceiling windows complete the cosmopolitan setting, providing a view no other New York City hotel can offer, extending to the Hudson River, Statue of Liberty and Empire State Building. The five star experience you will enjoy at the The Dominick New York Luxury hotel will surpass any and all expectations. Book your next New York City vacation with Jet Luxury Resorts at The Dominick and receive the best hotel deals in New York. Scroll down for room information. 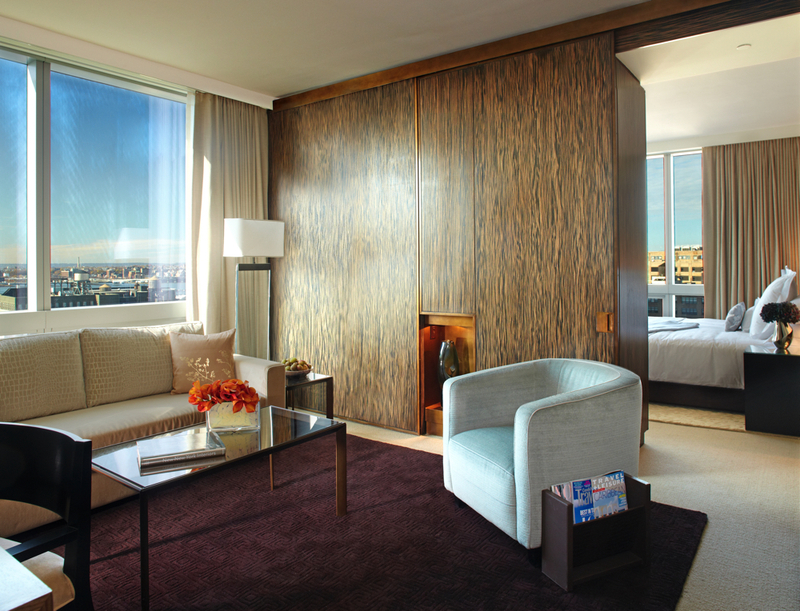 Our luxurious hotel rooms in NYC offer designer Fendi Casa furnishings, sophisticated décor and 10-ft. floor-to-ceiling windows for natural light. The spacious, residential-style SoHo hotel rooms start from 422 sq. ft. and feature a microwave, Nespresso machine, and wet bar. Granite countertops and a leather-topped desk add to the sense of luxury with large marble bathrooms that include a stand-alone shower. · Hudson Square King Rooms overlook the historic Hudson Square neighborhood, New York City’s creative district. · Skyline View King Rooms feature unique cityscape views of the New York skyline or the Hudson River. · SoHi View King Rooms are located on the hotel’s top floors and offer breathtaking views of the Manhattan skyline or the Hudson River. The spacious one-bedroom suites in New York start from 682 sq. ft. and feature a separate living space that ensures privacy for business meetings or entertaining. Granite countertops and a leather-topped desk add to the sense of luxury and residential feel with microwave, Nespresso machine and wet bar. The oversized marble bathrooms include a stand-alone shower. Traveling families are encouraged to inquire about our One-Bedroom Family Suites. · Skyline View One-Bedroom Suites feature unique cityscape views of the NYC skyline or the Hudson River. SPACIOUS NEW YORK HOTEL ROOMS FROM 682 SQ. FT.
**The Dominick used to be the Trump SoHo. Jet Luxury Resorts is not associated with, sponsored by, or endorsed by any of the branded hotel properties or its affiliates as operator of the hotels and as owners of the hotels or resort properties for which Jet Luxury Resorts offers on their website. Any Rental activity through Jet Luxury Resorts are conducted independent of such parties and the hotel's operation.